Wow, I am honored!! 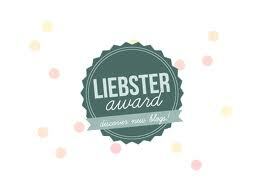 I was nominated for the Liebster Blog award by Sarah Phillips. What a great way to share new and upcoming blogs! -Each blogger should post 11 random facts about themselves. 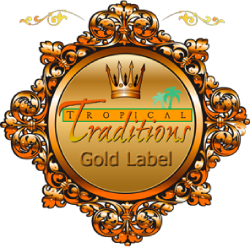 -Answer the questions the tagger has set for you, then create 11 new questions for the bloggers you pass the award to. -Choose 11 bloggers (with less than 200 followers) to pass the award to and link them to your post. -Go to their page and tell them about the award. 1. I love God and I love my church. 2. My husband is my best friend. 3. We were high school sweethearts. 4. We have five children that are the light of my world. 5. We home-school our children. 6. I work as a Project Manager in an IT shop. 7. I love my job, but hate all the time I have to spend away from my family. 8. My husband is a stay at home dad. 9. My favorite time is family movie night. 1.What are you most thankful for currently? My family, we are blessed. 2. Since we've just finished Halloween, what is your favorite candy? 3. What inspired you to become a blogger? To share with others what we have learned on our journey. 4. If you could have any profession, what would it be? I am an IT project manager and I love my job. 6. If you could vacation anywhere, where would you go? 7. What new skill would you enjoy learning? I just started learning to crochet and I am very much enjoying it. 8. What is one of your favorite blogs that you follow? It would probably be between Enchanted Homeschooling mom and Babes in Hairland. Although I have lots of blogs I follow and love. 9. When you go for a snack: sweet or salty? 10. What is your favorite store? 2. What is your favorite part of the Holiday Season? 3. When do you start your Christmas shopping? 4. What is one thing you are hoping to get for Christmas this year? 8. What song best describes your life? 10. 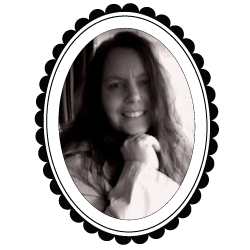 What is something new you have learned while blogging? Glad you enjoyed the nomination :) Reese's cups is probably my #1 choice too, though any pb & chocolate combination is great! Thanks so much! Just 'followed' you and am blogging about this now.